The developer behind £15m plans to turn an iconic but derelict building into a ‘destination hotel’ said he is excited to invest in Banbury. 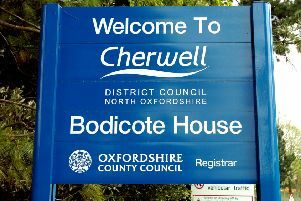 An upwards extension of the old SAPA Profiles building on Southam Road and conversion into a hotel was unanimously approved by Cherwell District Council last Thursday, July 19. London-based owner of the site, Arif Siraz, believes work could start in a matter of weeks to turn it into an 80 bedroom-hotel with a spa, swimming pool and restaurant. He believes the hotel would be a strong addition to Banbury, catering for all sorts of people in the town, especially tourists. “It’s a nice place, a nice area and not very far from the M40 and Bicester Village, and can bring in a lot of tourists,” he told the Banbury Guardian. The site of the old Northern Aluminium Company, later Alcan, has been partly used by Amazon and The Entertainer but the former SAPA building has been empty since 2008, and gradually deteriorating. The hotel would keep much of the Grade II listed building’s 1930s art-deco style as well as extending the office building by two storeys and build new structures for the spa, pool and restaurant. Car parking for about 70 plus cars, including four disabled parking spaces and a coach pick-up and drop-off point, is also featured in the redevelopment of the land. Mr Siraz, who runs Honeydew Developments, the firm behind the scheme, said the hotel will cost around £15m to build, employ hundreds of people and could include space for a pub, Subway and Costa Coffee, while David Lloyd Leisure could run the health centre. One reason to build the hotel was to cater for tourists visiting Bicester Village, Mr Siraz said. They would get the train from Marylebone to Banbury, be brought to the hotel, stay the night, and go shopping in Bicester the next day. “Our intentions are to work with the community and have something for the kids as well. It will be good for the town and good for everybody,” he said. Now planning permission has been approved, Mr Siraz said ground breaking could start ‘in a couple of weeks’ as the builders are ready to go, but the entire scheme may take ‘a couple of years’ to complete.